Put the first man on the moon into your collection with the 2019-P Apollo 11 50th Anniversary Silver Dollar. Order yours today at GovMint.com! 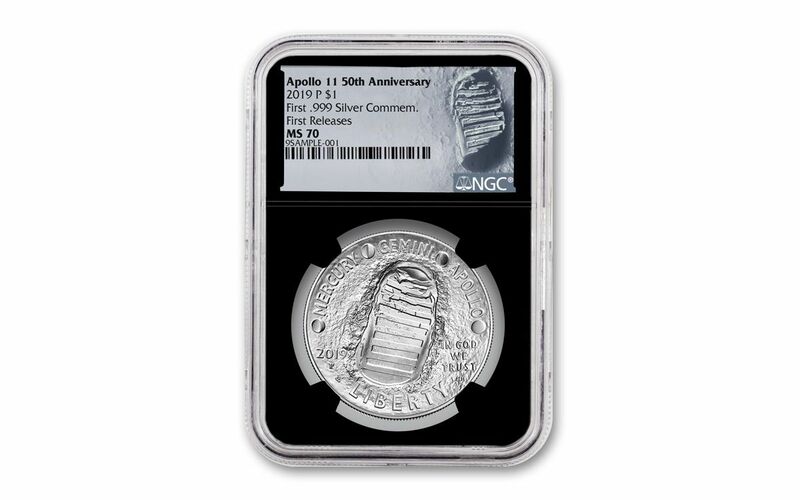 In addition, NGC has certified your 2019-P Apollo 11 50th Anniversary Silver Dollar to be a First Releases (FR) coin, meaning it was received by NGC or an NGC-approved depository within the first 30 days of the coin’s release. 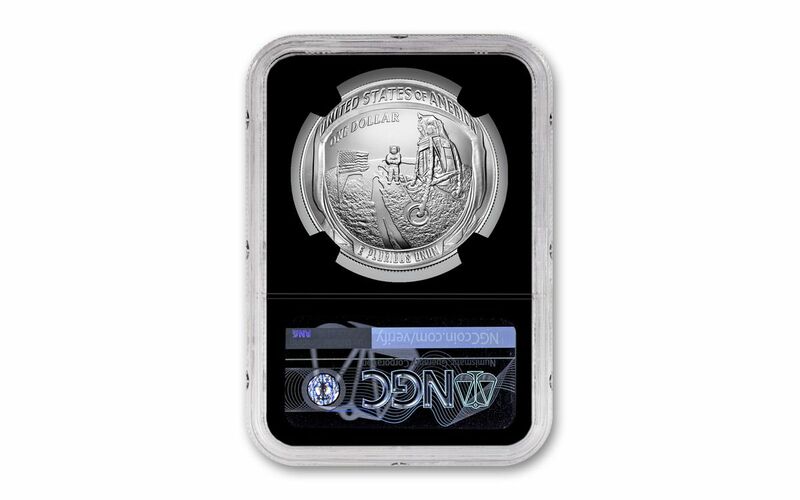 Your coin will also come sonically sealed in an acrylic holder with a black display core and an exclusive label that features Neil Armstrong’s footprint on the moon. KEY FIRST RELEASES CERTIFICATION – NGC has certified your 2019-P Apollo 11 50th Anniversary Silver Dollar to be a First Releases (FR) coin. It will come sonically sealed in an acrylic holder with a black display core and an exclusive moon label.